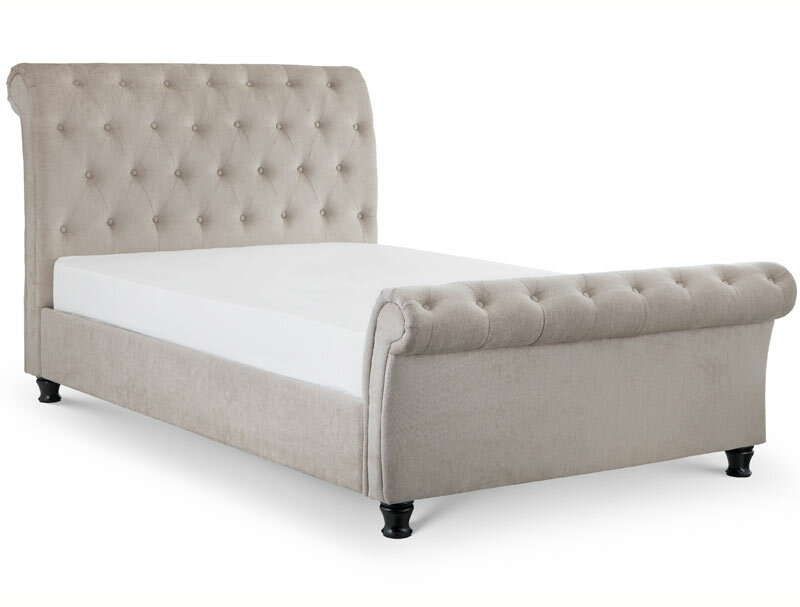 The Raverne is another new fabric bed frame from Julian Bowen , it offers a curved back headboard and curved forward footboard that are buttoned and is covered in a mink velvet style fabric. The Raverne bed frame sits on 4 dark wood feet and comes complete with a sprung slatted base . 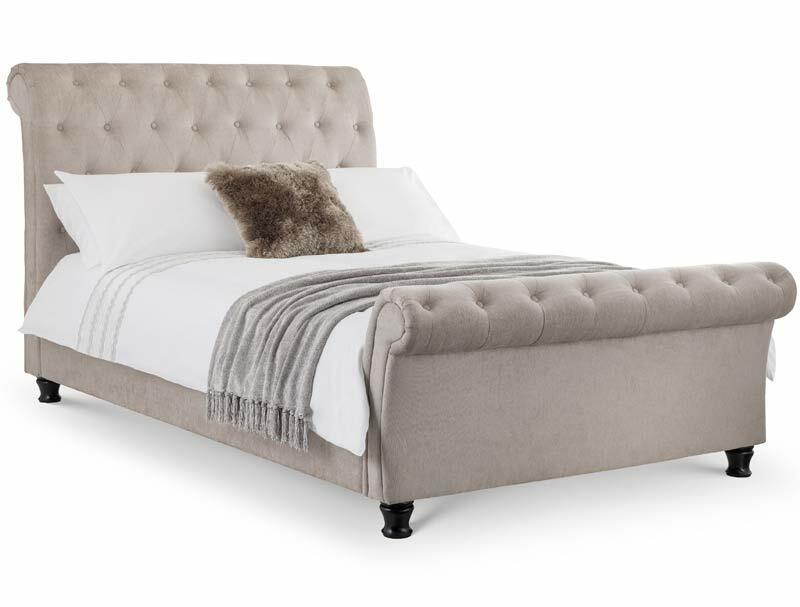 The raverne bed frame is available in double & king size and is delivered direct from Julian bowen by their own dedicated delivery team normally within 7-10 working days to most mainland postcodes, some postcodes may take longer and incur a small delivery charge.